So, the Greyhound from Noosa to Agnes Water takes around 9 hours, with two 30-minute breaks. Thankfully, it was one of the nice buses I’ve been on with leather eats and plenty of legroom. That really helped. Compared to some shorter bus rides (ie, the idiot who kept jumping in his seat for two hours), it was pleasant. I read a bit, had a snooze and just watched the world go by. Even now, I can’t, for the life of me, figure out why this trip wasn’t done as an overnight – or my next one – which would have saved a little on hostel fees but such is life. 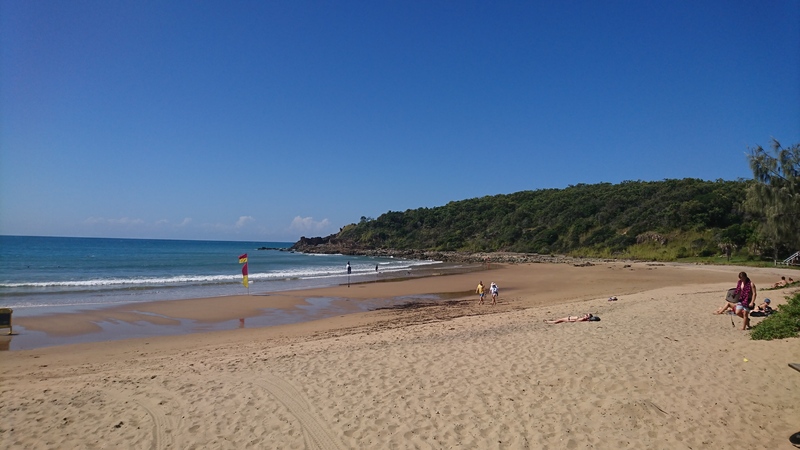 Agnes Water is one of my last chances to surf, really – on this trip. After ruining my body, legs and hand at Spot X, I was ready to get back on the board. Unfortunately, adulting got in the way. I won’t go into details but I lost the morning talking to dumbass companies who have managed to screw things up and affected my finances so I decided to not surf, in case that money doesn’t come back to me. I had a wander around the town, which is REALLY small, for a couple of hours then returned to the hostel to chill by the pool. I did want to go to 1770 but in the end bike hire got in the way and I didn’t fancy the 3-hour roundtrip walk in this heat. Then it’s a 9-and-a-half-hour Greyhound to Airlie Beach. Agnes was a nice rest spot, because an 18-hour coach journey really did not appeal AT ALL! It felt like way too soon that I was back at the coach stop for the next long-haul, and the last one of this trip, thankfully. There were seven of us waiting and no coach. Now, I’m telling you this because, as amazing as this trip has been, and still is, there are problems. This is one of the biggest so far. About fifteen minutes after the coach was due, I got a text message saying there would be a two-hour delay. Okay, not great but we went to a café for food. After those two hours we returned and still no coach. This is when we started calling for more information, only to be told they’d be in touch when they knew more, as they were waiting for an engineer and that, in the end, took four hours! Of course, there wasn’t a mechanic closer, typically. Finally, after five hours of waiting around, the coach was cancelled. We were all annoyed, understandably, as the lack of information then made it impossible to book any other transport for that day. I was probably in the worst position because I had a Whitsundays tour the next morning, which I was now going to miss. Say goodbye to $500, Dave, because that trip’s gone. It also meant paying for another night in Agnes Water, which is nice but since the insects like me, it wasn’t the greatest thing for me. The guys at Southern Cross were great, I got a bit of a discount and put back in the same room, where no one else was staying that night. My first night of actual privacy since January! A small consolation, at least. The next day we got on the coach, and began the long journey to Airlie Beach, which is a nice place. It’s bigger than Agnes Water but there’s still not much to do, and without the Whitsundays tour, I’m a feeling a bit lost. There are some really nice coastal walks to spend a bit of time doing but since there’s no real or great beach here, they’ve made an artificial one, on a similar idea to Brisbane but freshwater. It’s called the Airlie Lagoon and I’ll be there everyday till I leave. The tiredness and stress over the last couple of days have caught up to me. The Base/Nomads hostel have been great, moving my bookings around so that I didn’t miss out on one of the two nights booked, which is a big help but now I’m working out what to do next. 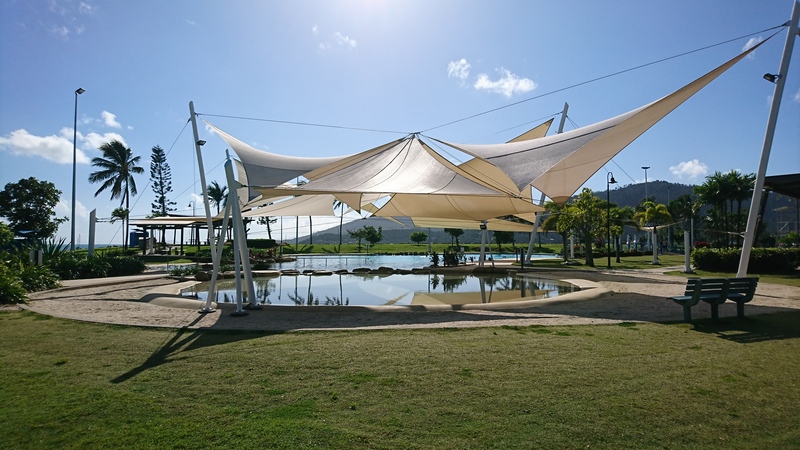 A bit of downtime to recharge, I think, and I may head to Townsville a day earlier – not for fear of breakdowns, as these things happen, but just to put this stint behind me. It’s a massive shame because this tour was one of the highlights of the trip. I was offered the chance to do a day trip, or a two-day/one-night trip but given what I’ve paid for already, that feels like a waste. Now I’m going to fight to get my money back and come back in the future to do it properly. It’s a reason to do some of the east coast again, at least! Now, let’s be clear. This hasn’t been the best update, and maybe it’s a little bit of a moan (sorry) but it’s worth documenting and, like I said earlier, it doesn’t get rid of all the amazing things I’ve seen and done since being in Australia or this trip. Let’s see what happens next, eh?